We are excited to celebrate the launch of Pinnacle Park this October! Bring your family and friends and join the neighbours for an afternoon of live music, tasty food and lots of fun to celebrate the opening of our beautiful new park. Kids will go wild for the amazing new playground in Pinnacle Park – equipped with a humongous slide, flying fox and a soaring look-out tower offering views all over Merrifield! While the kids explore, you’ll be able to kick back with the grown-ups and enjoy a bite to eat from the food stalls (listed below) and wine tasting, compliments of Marnong Estate. Hear from talented singer/songwriter Georga Jane Byrne who’s had two decades of professional experience and even supported huge international acts such as Pink and Beyonce! Sweet Forbidden Journey – treat your tastebuds to old school desserts including ice cream sandwiches, sundaes and more! D’Lish Turkish Street Food – enjoy hand-made traditional Turkish pastry with locally sourced produce. They’re also a favourite at the Merrifield Farmers’ Market! Bullpit BBQ – offering an experience that is diverse in style and flavour, choose from a selection of long smoked brisket, grilled salmon and chicken wings. Sip back, relax and enjoy your afternoon thanks to Marnong Estate’s FREE wine tasting! It’s the perfect opportunity to hang out in our “Adults Chillout Zone” and soak up the amazing music by Georga Jane Byrne. MERRIFIELD IS NOW ON INSTAGRAM! To celebrate the launch of our new Instagram account @merrifieldmelbourne, we are giving away a $200 Visa Gift Card for the best event photo! Plus the first 50 people to post a photo of Pinnacle Park will WIN a limited edition Merrifield picnic rug. 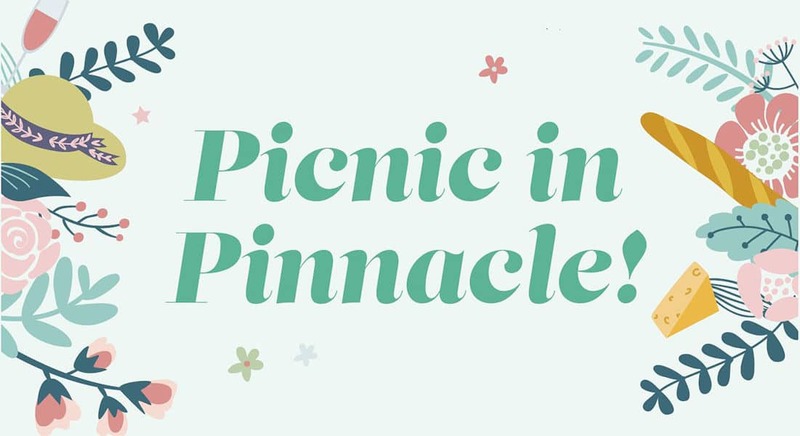 Take a photo at the Picnic in Pinnacle event – we want to see your best event snaps! The first 50 people to post an event photo on Instagram will receive a limited edition Merrifield Picnic Rug! To collect your prize on the day, visit the Merrifield info tent and show us your photo. All entries will then go into the draw to WIN the $200 Visa gift card – the winner will be notified on Monday 8th October before 5pm. Don’t forget to put your account on public or we won’t be able to see the photo! We can’t wait to see you, so get your basket ready and come along for PICNIC IN PINNACLE!